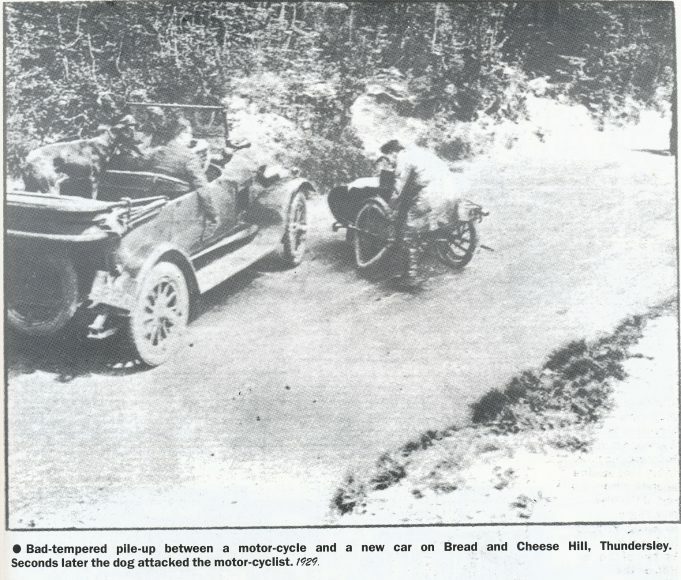 The accident between the brand new car and the motorcycle turned ugly when the dog attacked the motorcyclist shortly after this picture was taken! Mr Albert Bardell with his steam roller on Bread and Cheese Hill around 1942. 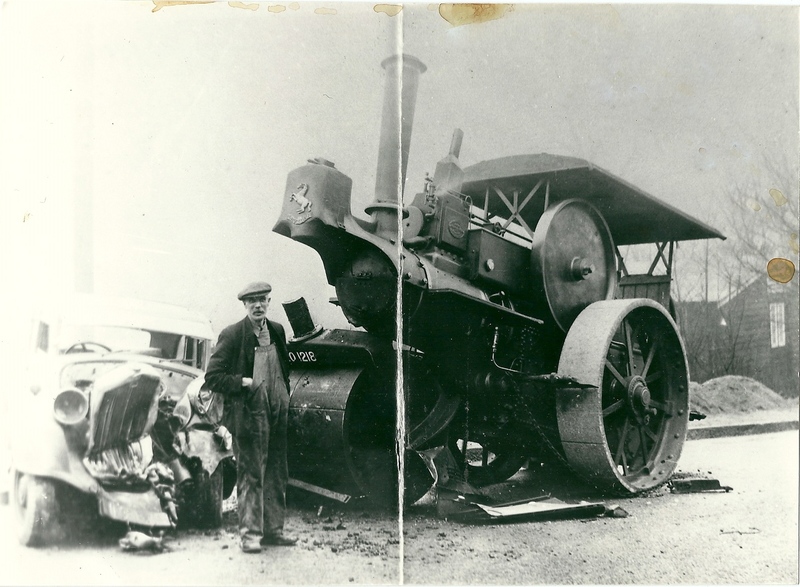 Mr Bardell was employed by Essex County Council as a steam roller driver. Is this the same incident where a bus lost a wheel and was driven down on 3. There is a family story about my husband’s grandfather (bus driver) being given a commendation for managing to drive the bus down the hill safely on 3 wheels. Very interesting article on the Aveling crash with the car. Regarding the roller that hit the bus .. would anyone have any details about the roller itself? The bus involved was Eastern National 1442 XVX 30. It was new in 1954 and was a Bristol LD5G seating 58. The damage was severe enough for the bus to be rebuilt by the original Bodybuilder – Eastern Coach Works in Lowestoft and was re-seated to the higher seating capacity of 60. The bus was renumbered to 2411 in 1964 and was withdrawn in 1971 . 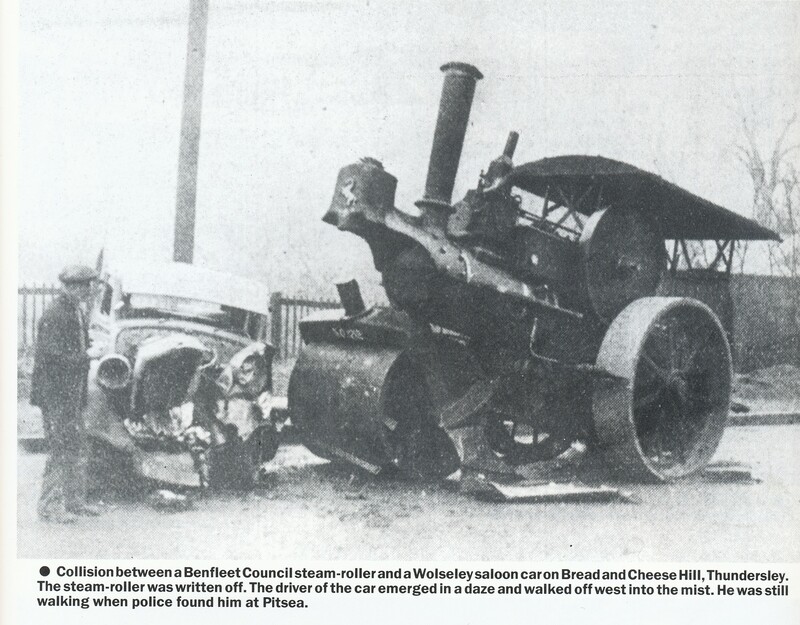 Steam Roller hits bus on Bread & Cheese Hill. My mum was on the bus which was hit – she was on her way home towards Victoria House Corner from working at Glanfields Clothes Factory. I will ask her what happened. When I was a child in the early 50’s I spent many hours playing with my best friend Alan Lewis (sadly now deceased) on and around Bread and Cheese Hill. I remember a particular day when a steam roller came rumbling up the hill and almost reached the top of the main hill. The driver jumped out and the steam roller went backwards down the hill out of control. Unfortunately, a bus driver who was coming up the hill (at the very bottom) tried to avoid it but accidently pulled into it’s path. It tore the side out of the bus like a piece of paper. We ran to the bottom of the hill and watched as the people were taken off the bus (lots of blood) and to this day I can remember a man’s hat laying in the road at the front of the bus. His head had come through the upstairs window. As far as I know there were only injuries. Does anybody remember this incident? Bread & Cheese Hill - What's in a Name?